The Premier League is chasing a court order to block popular, yet illegal, sports streaming service FirstRow1.eu, ahead of the new season. The Swedish site offers a multitude of unauthorised streams for most live sporting events, bringing access for fans who aren't able to watch through their TV package or are unwilling to pay for the privilege. Despite recently agreeing a stunning £5.5 billion global television, the Premier League wants to close the net on any sites which provides free, albeit ridiculously low quality, access to the in-demand product. The BBC reports if the court order is granted, none of the UK's ISPs will contest the block, which will be the first related to a site providing illicit access to sport. Of course, it would be extremely unlikely if the likes of BT and Sky objected to a block on their networks, having forked out £246m and £760m respectively to show the Premier League on their TV channels. That's what's known in the trade as a conflict of interest. Jim Killock, of the Open Rights Group told the BBC it's possible that, as a result, legitimate services may be the next to suffer from ISP blocks. "It's possible that very legitimate services will at some point be attacked by one of these orders," he said. "Our main concern here is that these orders should be considered slowly, and they should be subject to much more public review." 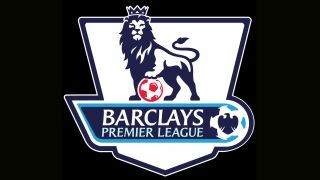 The Premier League may have been inspired by the success enjoyed by the British Phonographic Institute, which has succeeded in blocking access to music streaming sites like The Pirate Bay.